In statement on 50th anniversary of Six Day War, Fatah blasts "settlements", calls for continuation of violent struggle. In a statement issued on the occasion of the 50th anniversary of the 1967 Six Day War, Fatah emphasized that "the natural historical rights are not annulled by antiquation," and added that the removal of the "occupation" from the Palestinian and Arab lands will be a certainty. The statement that the establishment of an independent Palestinian state within the June 4, 1967 borders with eastern Jerusalem as its capital "is the only way to achieve peace, stability and security in the Middle East." 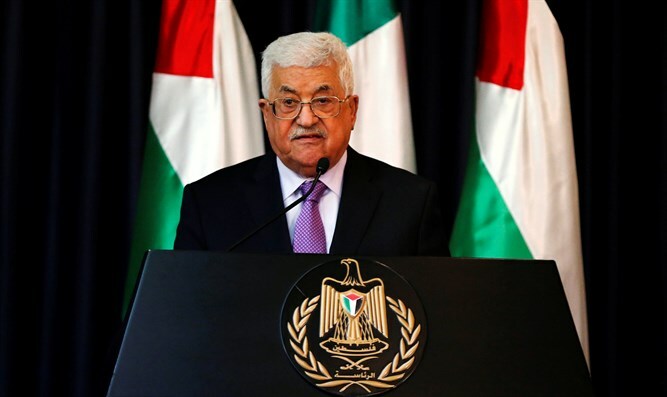 Fatah also blasted “settlements” in its statement, referring to them as a "war crime based on a racist and terrorist ideology," while stressing that the Palestinian people are armed with revolutionary willpower and can follow the path of a violent struggle to realize their rights. It called on the "occupation state" to learn a lesson from the revolutions of the Palestinian people, the intifadas and the struggles it has waged, saying those battles will not cease until the Israeli army and the “settlers” leave the region and comply with international law. The statement is just the latest example of the incitement by Fatah, which the West claims is a peace partner for Israel. The PA names schools, public squares and community centers after terrorists who murdered Israeli citizens. While Abbas tells the West in English that he is against violence and terrorism, his television channels and social media pages belonging to Fatah openly call for terrorism against Israelis.